I love listening music almost all the time and singing together with song. While listening songs for the first/second time, I get confusion in the lyrics of songs. Without knowing the lyrics, songs are incomplete and together with lyrics, songs become perfect. I was looking for a good android application for lyrics and I found musixmatch better than other applications. This application is designed in an awesome and attractive way. Simply, we can find it in play store. It has been downloaded by high number of users and its’ reviews also are good. After its’ installation, it is very easy to use. For the first time, we have to play our each songs through this application until the lyrics of each song appears on the screen. We cannot get the lyrics of each song in this application. The lyrics of almost all the English song are available in the musixmatch but the lyrics of the songs in local language rather than English is partially available. Once we get the lyrics of all of the songs in our android device, we can see those lyrics offline also from the next time. That time onwards it is not necessary for us to play the songs from musixmatch. While playing songs from the default music player of our android device also lyrics of the songs appear on the screen automatically and we can hide it also. A small and round button with the logo of application appears on the screen. If we touch that round button, it flattens throughout the screen and lyrics is seen. The lyrics appear in two ways/styles; in the first style, lyrics slides with the song and the line of lyrics which is spoken at that moment is highlighted. Also, we can resize the place covered by this in our screen. In, the second style, we have to scroll down by ourselves to see the whole lyrics. And, if we touch the round button of musixmatch again, it gets compressed and only that small button is seen. We can even edit the lyrics of the songs if found wrong and also can add the lyrics of the songs which is not available in the application. It’s widget for the home screen is also available to play music directly from the home screen. Musixmatch lets you enjoy diverse music with synced lyrics. We can search the lyrics for any song we want by typing the some part of the lyrics to find the song. This application also helps to identify the lyrics of music that is playing around us. 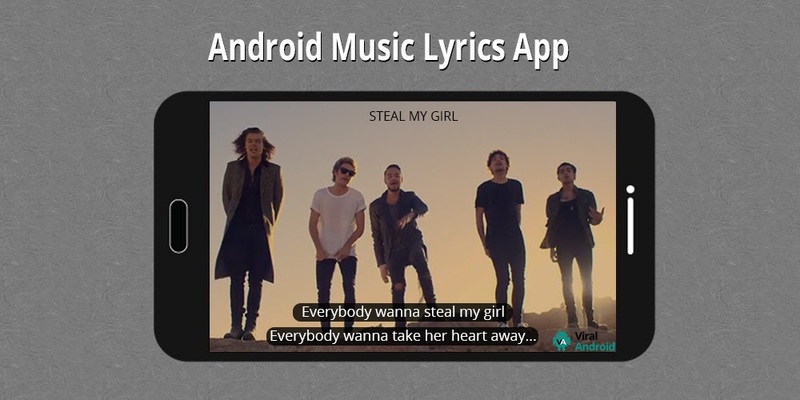 Through this application, users can cast music and lyrics to their television with Chrome cast, can create and share awesome lyrics quote with LyricsCard. This provides advanced features like Sleep timer, Equalizer and automatically fetches song info and converts for our songs.